As a part of the AIP’s commitment to the SAVE FOOD Initiative by FAO, the National Food Waste Strategy, and the United Nations Sustainable Development Goal 12.3 the Institute is focused on education and training programs that can assist with minimising food waste and loss globally. The AIP are very proud to lead the way globally in developing a Save Food Packaging Design Award that has established stringent guidelines and criteria. 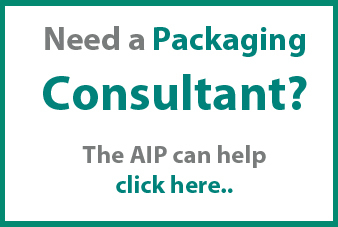 The AIP has a goal to create a global standard for all Save Food Packaging design. The AIP have a representative on the Department of the Environment and Energy National Food Waste Steering Committee, are a core contributor of the Fight Food Waste Cooperative Research Centre, a Member of the SAVE FOOD Initiative and a Member of Friends of 12.3 and an active World Packaging Organisation Member in the SAVE FOOD Pavilion at Interpack. 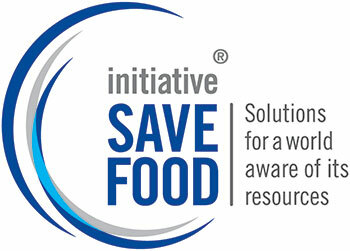 SAVE FOOD is a joint initiative of the Food and Agriculture Organization of the United Nations (FAO), the United Nations Environment Programme (UNEP), Messe Düsseldorf, and interpack, the leading global trade fair for packaging and processes. Their goal is to fight global food waste and loss. Through a global alliance of all stakeholders. The Australian Institute of Packaging (AIP) is Member of the SAVE FOOD Org and contributes to the World Packaging Organisation Save Food Packaging Pavilion at Interpack. While Champions 12.3 is the group of CEOs leading progress to achieve the UN’s SDG Target 12.3, there are many organisations that are part of the movement to halve food loss and waste. The Friends of Champions 12.3 network features companies and organisations that are contributing to the worldwide momentum on this issue. 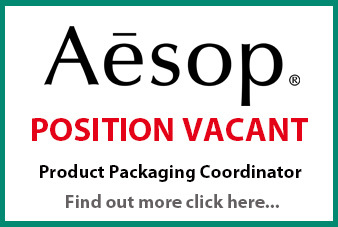 The Australian Institute of Packaging (AIP) is a Member for Champions of 12.3. The National Food Waste Strategy was launched on 20 November by the Minister for the Environment and Energy at the National Food Waste Summit. 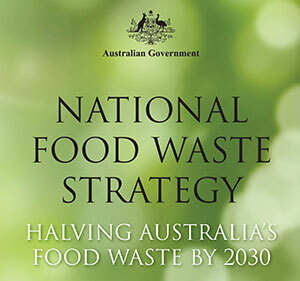 The culmination of many months of consultation with industry, academia, the not-for-profit sector, and all tiers of government, the Strategy establishes a framework to support actions that can help work towards halving Australia’s food waste by 2030. All Australia’s environment ministers extended their support for a strategy to help halve Australia’s food waste by 2030. This support acknowledges the importance of addressing food waste and the impact it has on the environment, the economy and society. Food waste is estimated to cost the Australian economy around $20 billion each year. Australian consumers throw away around 3.1 million tonnes of edible food a year. Another 2.2 million tonnes is disposed by the commercial and industrial sector. The complexities of dealing with food waste means that an integrated approach is needed. There are also substantial opportunities to rethink how food waste can be prevented, or wasted food can be used for other purposes. The Australian Institute of Packaging (AIP) contributed to the Strategy. The Coalition Government has taken another step towards halving food waste in Australia by 2030 with the appointment of the steering committee which will support the implementation of the recently announced National Food Waste Strategy – a first for Australia. The Australian Institute of Packaging (AIP) has a representative on the National Food Waste Steering Committee. The Fight Food Waste Cooperative Research Centre (CRC) officially commenced operations on 1 July, less than three months after receiving a whopping $30 million grant from the Australian Government’s CRC Program. Originally proposed in November 2016, the Fight Food Waste CRC seeks to bring together industry, government and research bodies to tackle the growing international problem of food waste, which is at the heart of future industry sustainability. Reduce food waste throughout the value chain. Transform unavoidable waste into innovative high-value products. Engage with industry and consumers to deliver behavioural change. The CRC involves 60 participants from around Australia and overseas, who collectively raised $103 million in addition to the $30 million from the CRC Program. 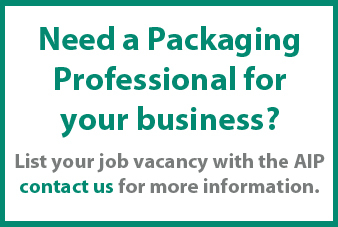 The Australian Institute of Packaging (AIP) is one of the core participants of this program. The CRC will be headquartered at the University of Adelaide’s Waite Campus, which is said to be the largest concentration of agriculture, food and wine research expertise in the Southern Hemisphere. It will also have several nodes, with its Reduce Program based at Melbourne’s RMIT University, its Transform Program at The University of Queensland in Brisbane and the Engage Program at CQUniversity’s Sydney campus. The CRC will take a triple bottom line approach to reduce and transform food waste to improve industry profitability, tackle food insecurity and enhance Australia’s reputation as a sustainable producer of premium food products. Its research programs will run for 10 years, which is the maximum term for a CRC.